Why Be Curious? Lino Maga is proprietor of this historic vineyard and utterly unique cantina in the Oltrepò Pavese. The wines, like Commendatore Maga himself, are astonishing and full of individual personality. Vigna / Vineyard: Barbacarlo in the commune of Brovia. Cantina / Cellar: Aging in large barrels for eight months. 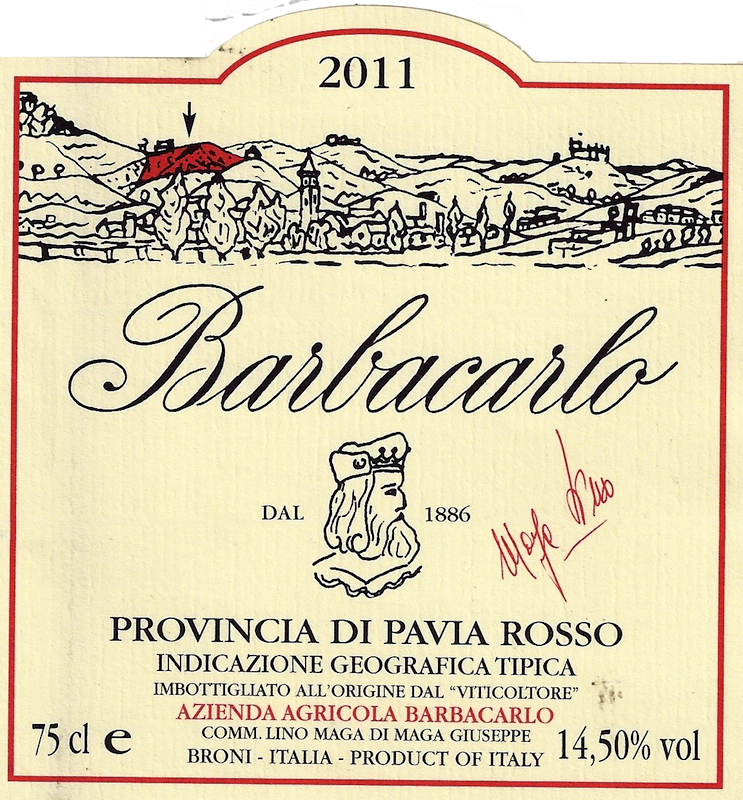 Nome / Name: Barbacarlo (Oltrepò Pavese DOC). Vitigni / Varieties: 55% Croatina, 20% Uva rara, 20% Ughetta (Vespolina), 5% Barbera. Élevage: Eight months in large oak barrels.